Duke Garwood plus Dan Edelstyn & The Orchestra of Cardboard played live in session on Resonance FM on Saturday 4th March 2017. 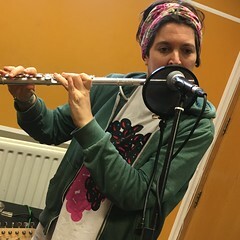 This entry was posted in dexter bentley, hello goodbye show, Hello GoodBye: Playlists, resonance fm and tagged dan edelstyn, dexter bentley, duke garwood, hello goodbye, resonance fm, the orchestra of cardboard. Bookmark the permalink.